Big audio makers such as Sony, JVC, Philips, Sennheiser and Skullcandy released headphones for kids that takes safe hearing feature and comfort as priority. Other new brands like KidGear, Etymotic Research or Nabi also introduced headphones with ergonomic design and engineered in the way that helps to minimize hearing damage. Children no longer have to wear headphones/earbuds that make parent worry about their hearing problem. Your kids deserve to enjoy the beauty of sound no matter how old they are, so we’ve rounded up this list of best headphones for kids, giving you some ideas to help get you started. This list includes all model: Wireless, earbuds, on ear and over ear headphones. This is the most safe headphones for kids, even when you turn on the maximum volume level which is still limited to 80Db. At the Parent mode, you can enjoy the full range of DJ quality sound. They are moderately expensive on Amazon. The over the ear headphones are the best of the bunch. These attract design headphones are the most solid-built in this price range. The padding on the headband are soft giving users more comfortable. Additonally, they can operate at 2 modes: Nabi(safe mode) and Parent. According to the Nabi, the headphones are powered by the same advanced technology of headphones that are more expensive 2 times, Nabi Headphones deliver deep audio, sonic richness, rich bass, and clarity of sound. One of the nice features is that the cord is replaceable and detachable. The Kidz Gear headphones are for children as well, featuring the two bands helping to contruct the headband making it more stable on head. They’re the less expensive option compared to Nabi headphones. However there is no padding on headband and the wire attached to earbuds is not detachable. These are Cons of Kids Gear. There are 5 colorful colors for you choose: blue, green, orange, pink and purple. And the Kidz Gear can be used for kids above 2 year old. The Kidz Gear wired model is the best seller headphones for kids on Amazon. They are capable of limiting the sound source where it only goes up to 85dB for safety listening. The headphones are very lightweight and comfortable, and compatible with tablets, mp3 players, smartphones, handheld game consoles and other audio players. The smaller size and light weight construction allow kids to wear several hours without discomfort. The slim headband can provide secure fit and it is durable enough to avoid cracking. Under average sound quality. The Philips SHK1000WT features drivers made from Neodymium, the material is the best for the core components in a headphone: voice coil. Just like other headphones for kids, SHK1000WT can constrain the volume to a limit of 85dB. Unlike over the ear headphones, the on-ear style may render the noise-isolating function of headphones, which is proved not as good as over the ear nabi headphones. Other downside is that ear pads can’t swivel, they are not flexible to adapt to ear angle and lack of kid theme. When it comes to Sony brand, they cover the wide range of products and gadgets for kids are not an exception. They also offer a price you will hardly reject for The Sony MDR-222KD. With cheap price, they are a great choice even with the slightly poor audio perfromance (only adult can rate) and absense of bass. Otherwise, for kids the Sony MDR-222KD sounds pretty good. There are 2 color available black and a light pink version. The volume limiting feature works fine, as advertised. Somehow it works better than other headphones in this list. As you can see the simplicity of the entire build of the headphones more of less similar to Philips SHK1000WT makes it accumulate less weight. In combination with the slim adjustable headband they enable kids to wear for many hours without feeling much pressure from it. The latest verion over the ear HA-KD6 headphones for kids come with smaller size, and feature a volume limiter to reduce sound intensity to 85dB. They are pure plastic with no paint coated. Colorful headphones: yellow, blue, light green and purple. The JVC HA-KD6P headphones will definitely attract kid’s eye for the first time and they will feel more excited to wear this headset. Another cool feature about this headphones is wide headband allow your kids to decorate to whatever it likes from supplied stickers. For younger children age: up to six diffrent choices color and inline mic. yellow, red and blue solie; the animal paint on ear cup housing: Panda, Tiger, and Bear. They all are pretty nice. I barely put the Califone 2810 headphones in this top 10 because their cheap price and inline volume control on cable and above average tunes they can deliver. The Califone 2801 can blast music at highest level from portable devices. Because lack of volume limiting feature, you need to monitor your kid’s wearing this headphones. The JLab JBuddies come with average size between Nabi and Sony MDR 222KD, and foldable design allows your kids manage the JLab neatly in carry case. The solid build can withstand from kid’s abuse. Hypoallergenic ear padding provides extra comfort and sensitive skin will never get “red” from contacting with the cover. As to JVC HA-KD6P, some nice stickers let kids decorate their gadget. The safety level of JLab headphones was set to 90 dB higher than other 85dB. So you are expected to get music louder from this JLab. The Panasonic RP-HTX7, the best seller gifts for kids, doesn’t feature the volume limitation. The sturdy and durable headphones, which was sized for kid ears with soft headbands, give kids a relexed wear. The solid ear cups provides a good noise-isolation because of closed back design. The Panasonic RP-HTX7 is very comfortable to wear for long hold, and it’s a closed back headphones and very good at keeping sound from leaking out. 9. Etymotic Research ETY-Kids Safe-Listening for kids over 4 year old. The first attemp may not be perfect. However, Eytymotic Research did a good job for noise-isolating, better noise-isolating mean you don’t need to crank up volume for better music detail. The price is more expensive than JVC HA-KD6P. There are 2 model, one is more expensive with inline-mic and Volume control. The various size of ear tips fits to all ear including parent’s. Eytymotic Research is one of the best earbuds for sound quality for kids, plus volume limited to safe levels not only for kids but adults as well. As parents you can also enjoy sound with decent bass from this earbuds. You can use them as earplugs in the noisy areas to avoid terrible noise. What the video how to insert earbuds into ears. The can effectively reduce up to 40% volume from any audio source. They offer less than a half price of Etymotic Research ETY-Kids earbuds. With impressive design, this earbuds would be a great gift item for back to school time. Ultimate Ears also includes 5 pair silicone ear tips to fit all ear sizes from little to medium. Children will get decent sound quality that is solid over ranges. Your ears will capture noticable bass, however, sound needs more crisp to be excellent in this catergory. For Kids, they can be totally excited and amused to entertain with a very good sound Logitech earbuds. In term of volume limiting, overall, I think all these headphones above do pretty a good job, and they are a nice item for traveling with kids. Considerably you may weigh the durability, comfortable to wear, design and prices to decide which one is most suitable for your kids. The earbuds seems to provide better noise-reduction than over-the ear headphones. If you have an Ipad and worry kids listening unsafe volume use restriction volume function to lock the volume to the level you are comfortable with–CNET. If you have 2 kids and want them to share the same content on table, $2 headphones splitter is a great choice. You probably travel a lot with your kids and during time on train or airplanes, sometimes they do not sleep and need somethings to play for long hours, for example, playing games, watching fun video, or listening audiobooks from tablets, smartphones, handheld game consoles – Nitendo and MP3s. A good pair of headphones plugged into these devices will be really appriciated by kids for this times while they enjoy interesting sound, they will forget about boring time on board. People sitting around will not feel annoyed by soundtrack: beeps and dings from games or movies played. Having a headphones allows kids to have more choice for their free-time. Also, at home your children can enjoy music without disturbing other. As young kids, there will be a lot of fun and exciting sounds amusing them. If you kids play game without headphones, you may feel a little noisy and you would ask him to put the headphones on, this moment you see how headphones are worth. As technology gradually has “penetrated into” education, headphones are a part of cirriculum, for instance if kids take part in the language program and wear qualified headphones; they can hear sound more clear making the learning more progress. Or they can independently work on the project required headphones to hear instructions without disturbing other students. What happens if kids listen loud music from headphones for a long time ? The picture above illustrated the noise from city traffic. For example, this noise can cause hearing damage if you are exposed to it for a long time. This is also applicable to use headphones with volume 85dB. Broadly speaking, listening loud music for hours everyday not only effects adult’s hearing but kid’s. Kids are excited by the loudness of sound but un-aware of how their hearing will be affected for the long term (adding up over time). As parents we should keep track of your children’s safety. Choosing the best headphones for kids, you will feel more confident to let kids do what they like with headphones. Do headphones for kids differ from adult headphones? How to protect kids from hearing damage? So, a simple way is that you only let your kids wear headphones specifically designed for kids. Basically, these headphones deliver the lower volume to users even the audio output of personal stereo (defined as Watt) can produce as high as 105 dB. When kids adjust the volume control to maximum levels it’s still at a safe level. 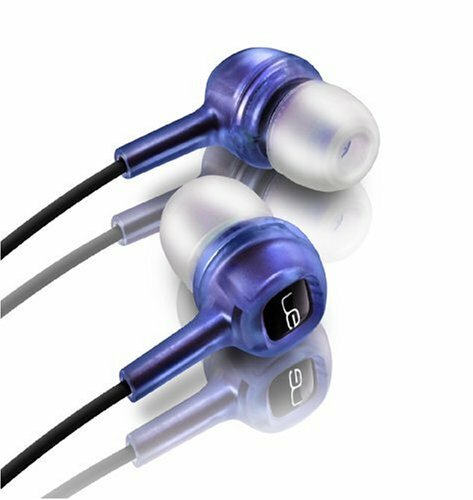 The price may surprise you that they are pretty cheap ( around $20) but give awesome and wonderful sound for those who have never had headphones before. There is inline volume control on cable, you should adjust to lower volume. Limit your kid’s listening time. Where over the ear headphones or earbuds ( in-ear headphones) for better isolate sound sealed in ear to avoid increasing volume. Nevertheless, you should not allow your kids wear headphones for a long time 4 or 5 hours continuously. This causes uncomfortable feeling for kids both physical and mentality. Not all headphones are perfect, more or less there is a pressure when they wrap around kid’s head. Time to take a break let ears relaxed. Choose the right type of headphones for kids. Personally, I think the on-ear or over the ear headphones is more comfortable for kids than earbuds(You can call them in ear headphones or earphones). Lastly, you can teach children to protect themselve from loud sounds. How to choose the best headphones for kids ? Typically, kid headphones should not produce much “background hiss”- noise or interference induced from circuit components of headphones. Kid headphones with 3.5 mm Jack are compatible with most devices today DVD, MP3s, Game, Tablets. Are they cheap and durable, yes they should not be too expensive and can withstand to tough collision when kids leave, drop or throw their headphones somewhere? They feature adjustable headband and flexible ear cups – ear pads. The padding is foam or vinyl polymer material. The mere differences are design, sound quality and comfort. However, as kids can’t diffrentiate one to another based on sound quality. Wire (detachable or not) or Wireless connection – If you prefer wireless models to teach your kids about tech, check the bluetooth version for compatibility. There are 3 types of headphones for kids earbuds or in ear headphones; on-ear headphones; over the ear headphones. Kids are not always careful they tend to leave their toy harshly. Kid headphones would be designed in such way to extend the durability. Because of volume reduction features, the noise-isolating feature must be good to allow users hear clear music even in noisy coffeeshop. You will see most features listed above are present in mordern headphones for kids. In addition, you would take how old your kids are to match to the headphones, because the manufacturers designed headphones for specific ages. Headphones for kids are affordable and decent in term of sound quality and comfort. Choose from the brands you love: some traditional headphones brands like Philips, Sony, JVC, Sennheiser and Skullcandy. What age should parents allow children to wear a headphones? As a child can learn language from very early age ( first coming from voices and sounds), so they can sense music as long as they started to realize the sound. Over 2 is age that kids can wear headphones and enjoy music. Is Earbuds or in-ear headphones are good for kids? Earbuds are light weight, more durable on kids hand. They are good for daily use rather than educational purpose such as studying in class room where students wear headphones to hear instruction from teachers. Generally, they should be used kids above 4 year old, the noise-isolation is truly better than on-ear headphones. However, they are earsy to get lost. Furthermore, eartips are not easily kept clean by kids. I have read many comments about the earbuds for kids that they get broken just falling down the floor or no sound from one side of earbuds. Because the distance from sound source to hair cells is closest if wearing earbuds, which exposes you to the highest level of being risk of hearing lost from loud music. Because of convenience, earbuds are still used a lot. It is good if you are not over doing things like eating a lot of sugar containing food like chocolate cake which may cause health problems. Then again, if you listen louder music in the long time, bad things can happen. The recomendation from Kidhealth for earbud users. Never turn the volume more than 60% of the maximum volume when listening to music from personal tech item. Take out the earbuds after 60 minutes of continuous use. Some kid ears do not welcome silicon eartips because they are too big or small, so earbuds tend to drop out of ears. Logitech and Etymotic Research were the two first manufacturers made earbuds safe for kids. These earbuds are the smallest in size, eartips are sized for kid ears and most importatnly the volume is limitted. When you get new “smart devices” from stores, you immediately own a new pair of earbuds supplied with. The “ear buds” (earphones or in ear headphones) are actually not made to miminizing the risk for your hearing, and they definitely are not for children. They must go inside the ears for better noise-isolating and sound. These in ear headphones work OK for eliminating ambient sound. As a result, many wearers have to to increase the volume for better performance. If you live or work in area where there are lot of noisy above 85 Db (from chainsaws or traffic) for a long time without any protection ( earbuffs), you are more prone to hearing problem. Since Apple made an revolutionary about smart devices – iphone – ipad – ipod. The personal gadgets are becoming more popular than ever before. However, this also poses a health risk. They have long battery life and store more content with extra memmory meaning that you can relaxe and interact with these more time. As long you wear a headphones, you prefer to listening with high music levels and the chance to be affected by loudness is increasing. A good idea is to invest in a volume-limiting pair of headphones thus ensuring the audio stays at safe levels. They are considered the best by customer’s reviews from retailer’s website, not buy expert’s reviews. You can decide from some features, and find out which one is better over the others. If you have 2 pairs of headphones but there is only one device, a headphone splitter is very useful in this case, you can share music with your kids while travelling. Belkin Rockstar Splitter, when plugging 2 headphones in the same device, the volume levels will never get high. I like writing, I figured out a year ago when I first started my site. I am also an audiophile spending up to 6 hour of my day to listen to my favorite tracks. My ears are really sensitive to sounds. Personally, I think these kid headphones are durable and flexible. That’s being said, kids always play round and unconciously damage the headphones. So I think, you should not invest much on. I do not test these headphones, the reviews are mostly from verified purchase meanings users have experienced and rated the products. In respond to google search where there are about 1000 search with term “best headphones for kids”, I gathered some information about the facts that would give you a look inside headphones for kids. I was actually shopping for my younger cousins. They are 9 and 10 ad could use some headphones. Thank you for posting all this useful information. I was lost with what to get. I didn’t want some cheap brand that would break but I didn’t want something that was beyond their ages. The Kidz Gear ones sound great! I love haw you formatted your post, it was relevant and provided the information I needed in a very concise and easy manner. I’ll refer my family to this post whenever we’re look for headphones for the kiddos. Thanks again for providing the info! I recently bought my kid’s Puro Sound Lab BT2200 and they are the best headphones I have found yet. Their battery life lasts a long time and I love they are focusing on having healthy ears with only letting the music go to 85 dB.